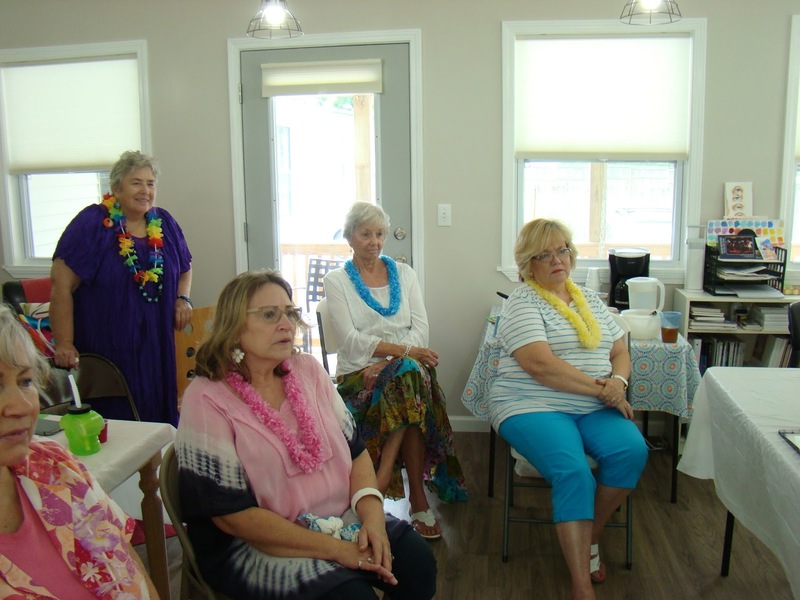 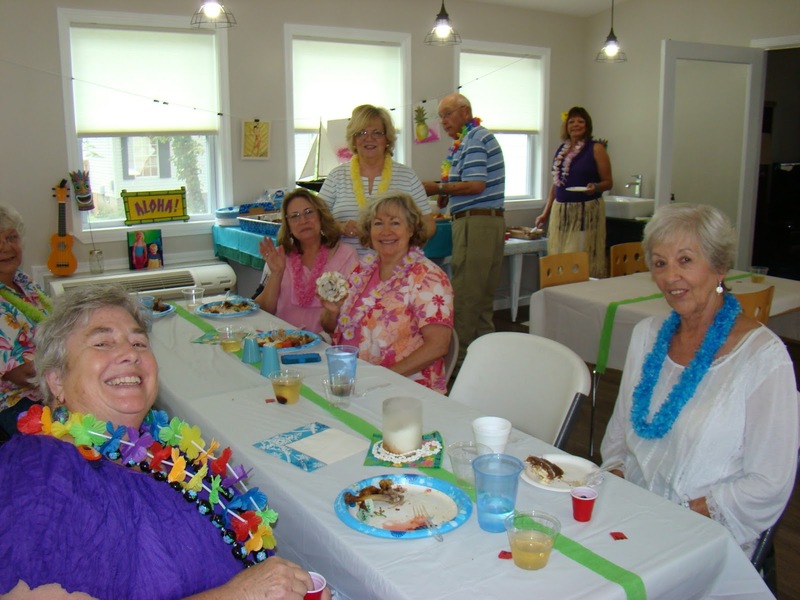 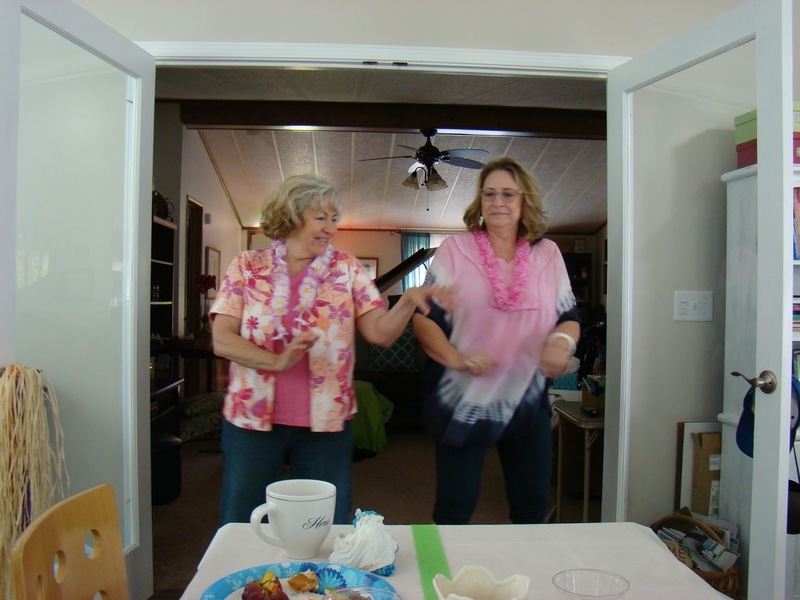 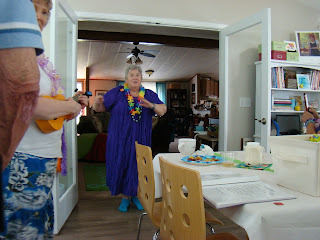 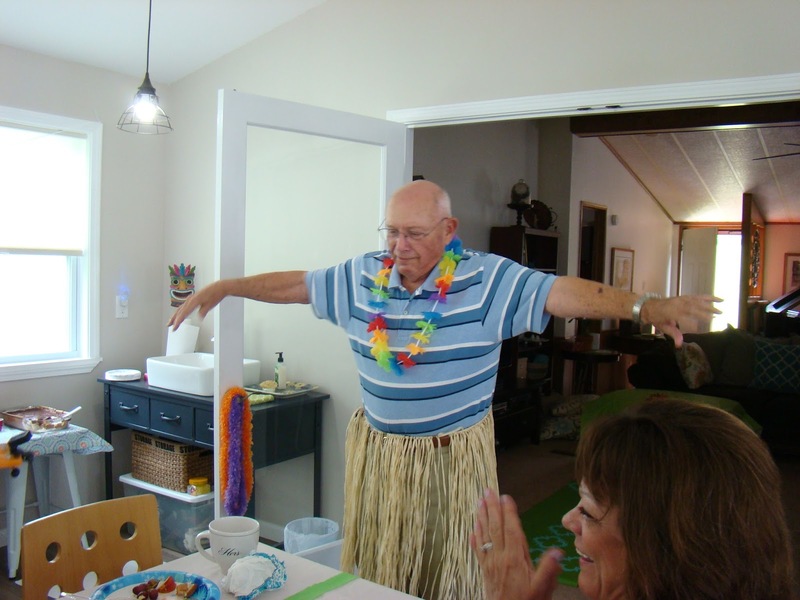 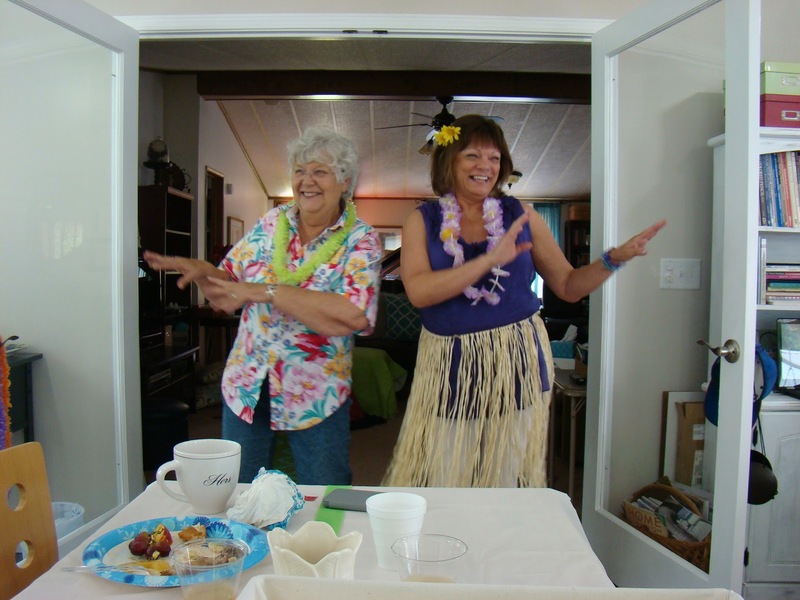 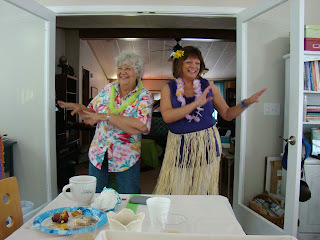 "Hawaiian" was the Theme and "Fun" was the Scheme on Wednesday, August 10th. 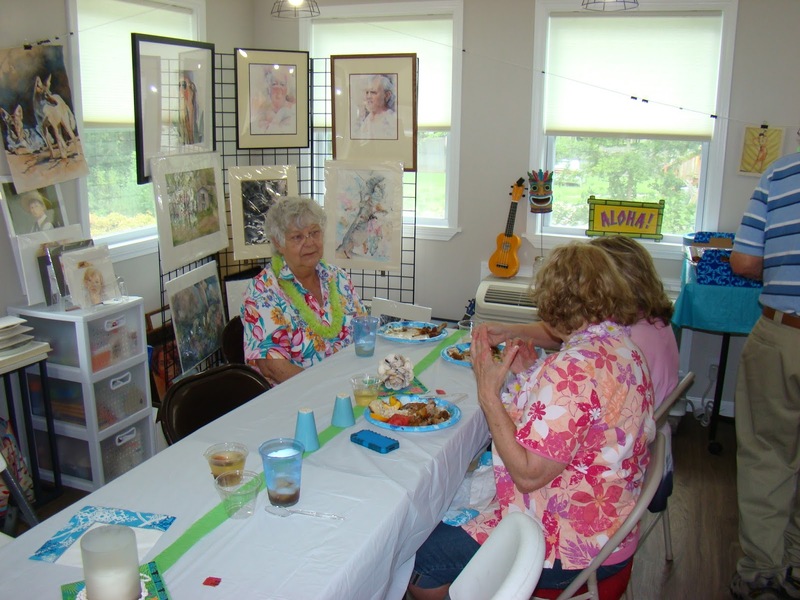 Hosting a party in my new art studio last week was especially fun with the talented and crazy group of artist friends that I have. 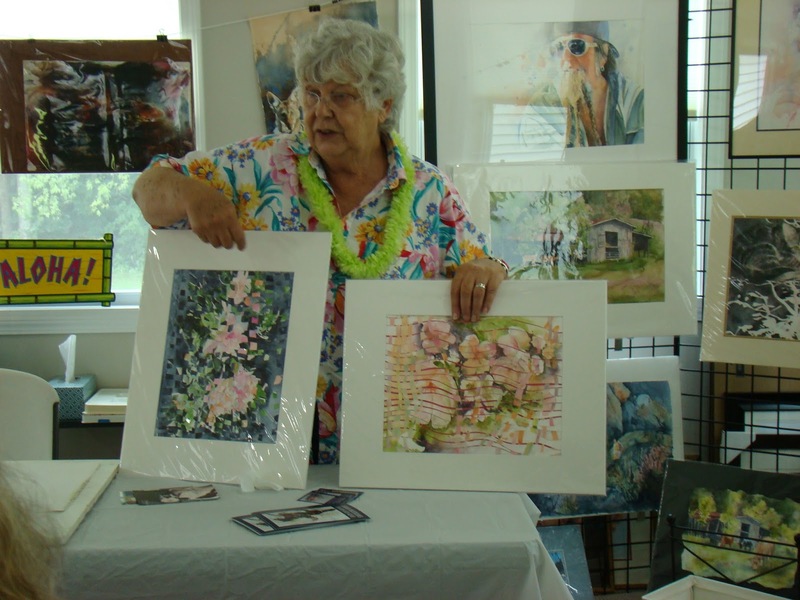 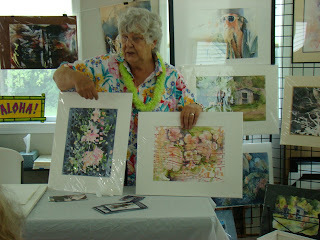 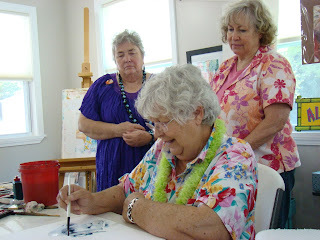 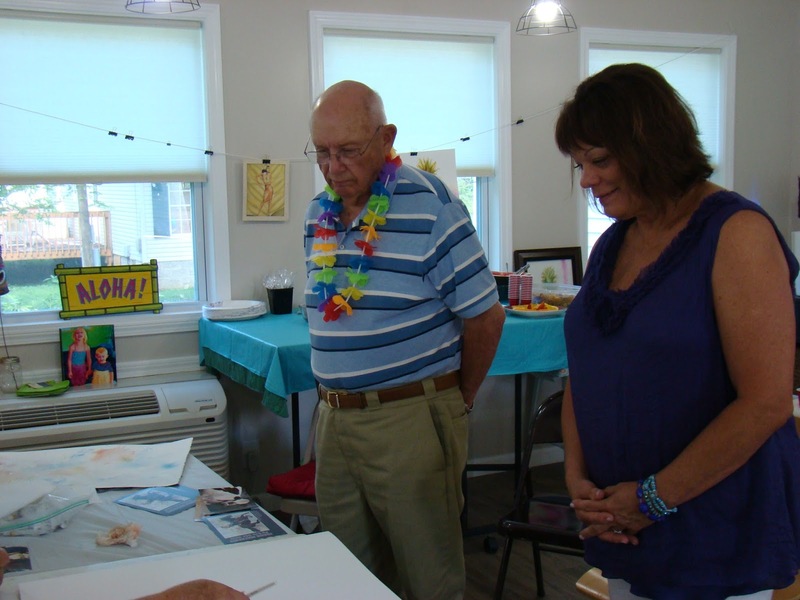 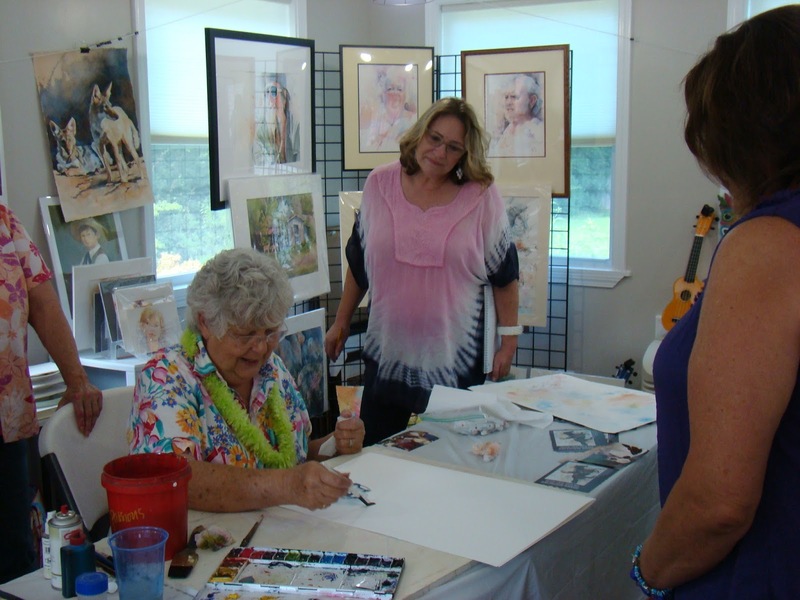 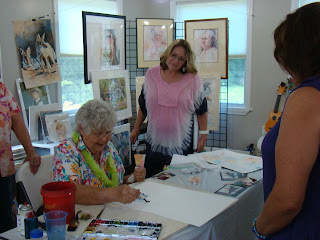 We ate, sang, danced and enjoyed a fabulous watercolor demo by our new friend and talented artist, Joann Mathews. Here are some highlights in picture form... I'm hoping my friends will send me a few of their pictures so I can add them to the mix.